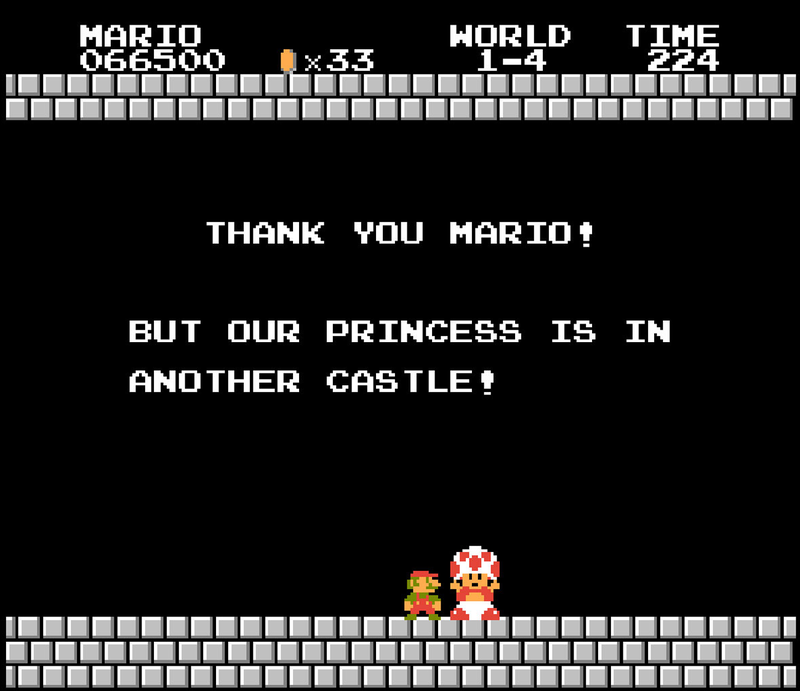 Call it a testament to Mario’s mettle: He passed through seven of the wrong castles before he at last found that princess he was looking for. And this all went down back in the 80s, when she still went by the less-than-regal named Toadstool, so really who knew what Mario was going to find in that last dungeon? A spuming fungal bloom? Some nightmarish mushroom with gender-specific genitalia? 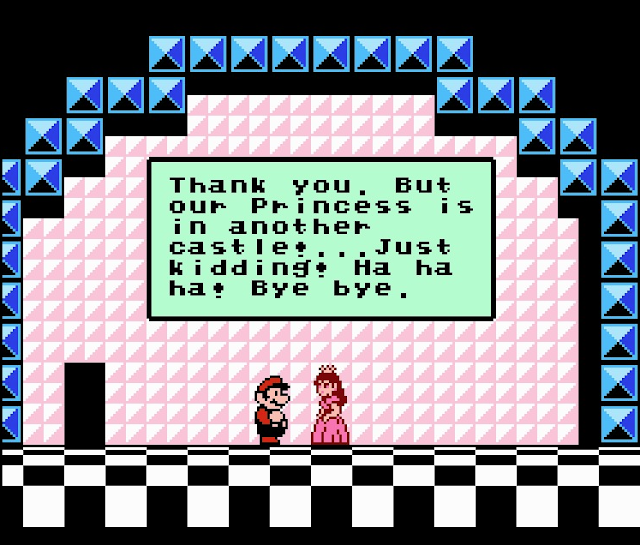 Fortunately for Mario, she ended up being a pixelly, kid-friendly babe with Farrah hair, but he did a bad job of keeping her close by. She’d be forever removed to some far-off corner of the world, even though he presumably hopped through the entire world in every previous adventure. She got the joke. I feel like he didn’t, based on his irrepressible enthusiasm. It turns out there’s a word for this whole situation. princesse lointaine (PRIN-sess LWAN-tayn) — noun: an ideal but unattainable woman.